BIReady - Thanks for getting in touch! Our Channel Sales Director, Ian Nicholson, will get in touch with you very soon. 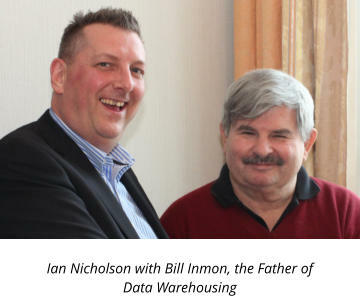 You can ask Ian all kinds of questions about Data Warehouse Automation, Business Intelligence, Data Quality and Textual ETL. (You can even talk to him about film-making!) Meanwhile, click on the LinkedIn logo above to view his profile and add him. Ian has a long and varied career in BI going back to 1982 when he developed reporting solutions in MUMPS at the North East Thames Region Health Authority in East London. In the last 15+ years, he has sold Crystal, Hyperion, Cognos, WhereScape, BIReady, SAP BusinessObjects, Tableau and Yellowfin.